Repeat after us: This will be the year you put your tresses first! If the party season has been wreaking havoc on your tresses, it’s high time you add a deep conditioner for damaged hair to your hair kit, pronto, because no one wants to repeat their previous year’s problems. And with all the latest trends too tempting to miss, many of us have been putting our tresses through the wringer (we’re also guilty on that one). But with the start of the new year, why not make one of your resolutions to give your strands some extra TLC? So, if your go-to products just aren’t cutting it, it’s time to bring out the big gun – and by that, we mean adding a deep conditioner to your hair care routine. When we style, bleach or colour our hair, we’re damaging the structural proteins which make up our hair, so hair becomes weakened and vulnerable. 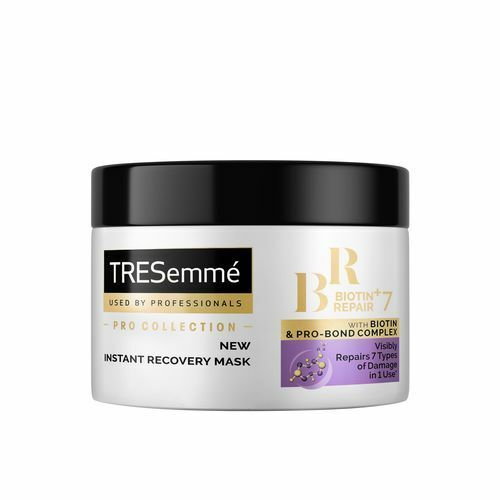 The TRESemmé Biotin + Repair 7 Intensive Mask contains a Biotin & Pro-Bond Complex which helps to restore these broken bonds, not only making your hair visibly look better but making it stronger, too, so it’s better prepared against future damage. Say hello to the Nexxus Emergencée Restoring Masque. 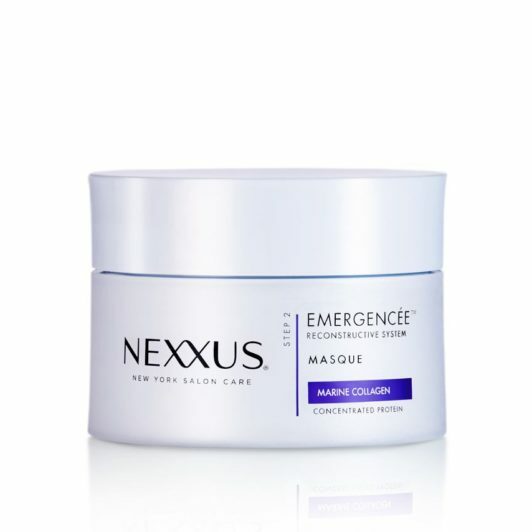 Enriched with concentrated, 100% pure Elastin Protein and Marine Collagen, the Nexxus Emergencée Restoring Masque rebuilds intensely damaged hair, reinforcing the inner fibre structure, sealing in strength to reduce breakage, so hair unravels with beautiful resilience and fluidity. Psst: If you struggle with split ends, we suggest using this deep conditioner treatment weekly. 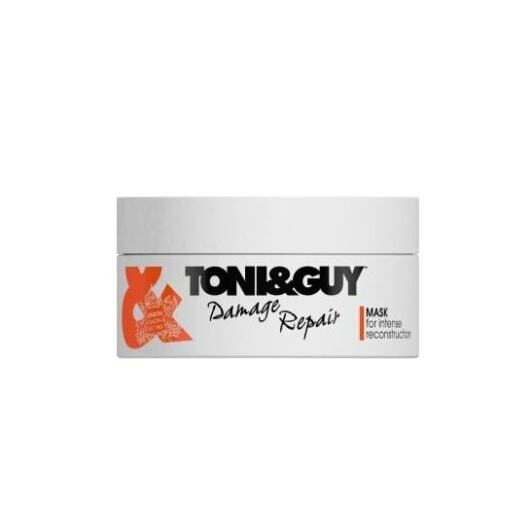 The deep conditioning formula in Toni&Guy’s Damage Repair Mask provides advanced repair and replenishment for distressed hair. So, if you’re looking for intense nourishment, softness and shine, we suggest adding this to your hair care routine at least once a week. 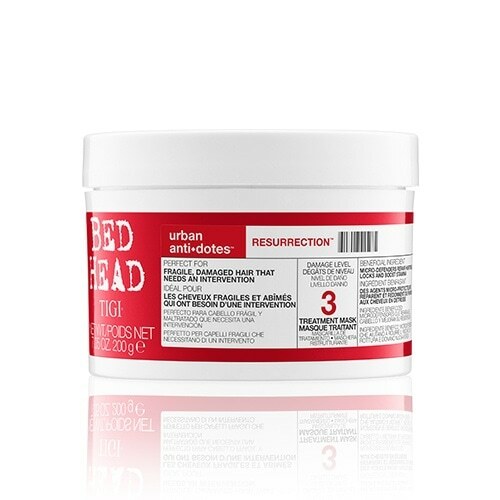 Give your tresses the nourishment it needs with the TIGI Bed Head Resurrection Treatment Mask. With Core Repair Technology™, this intensive repair treatment is ideal for locks in desperate need of repairing. So if you have been going heavy on the heated styling tools (and forgetting to use a heat protection spray, tut tut) or generally not caring for your tresses as you should, this is the deep conditioner your damaged hair needs. Like many, our time getting ready in the morning has been honed to the second, so we welcome the idea of an express treatment with open arms. If that sounds like you too, you will love the Dove Intensive Repair Express Treatment Conditioner. Bringing you the benefits of an intense treatment in as little as one minute, this dual-action formula helps to repair surface damage making tresses not only look but feel smoother, too! 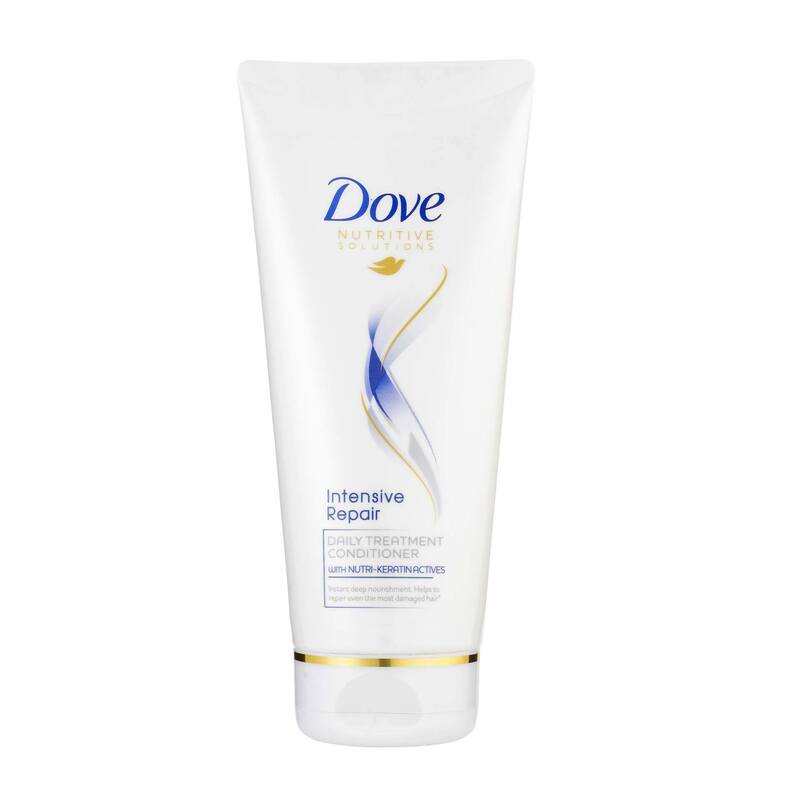 With regular use, hair will feel stronger and healthier after each wash.
For best results, use alongside the Dove Intensive Repair Shampoo. 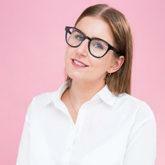 Split end treatment: Fact or fiction?